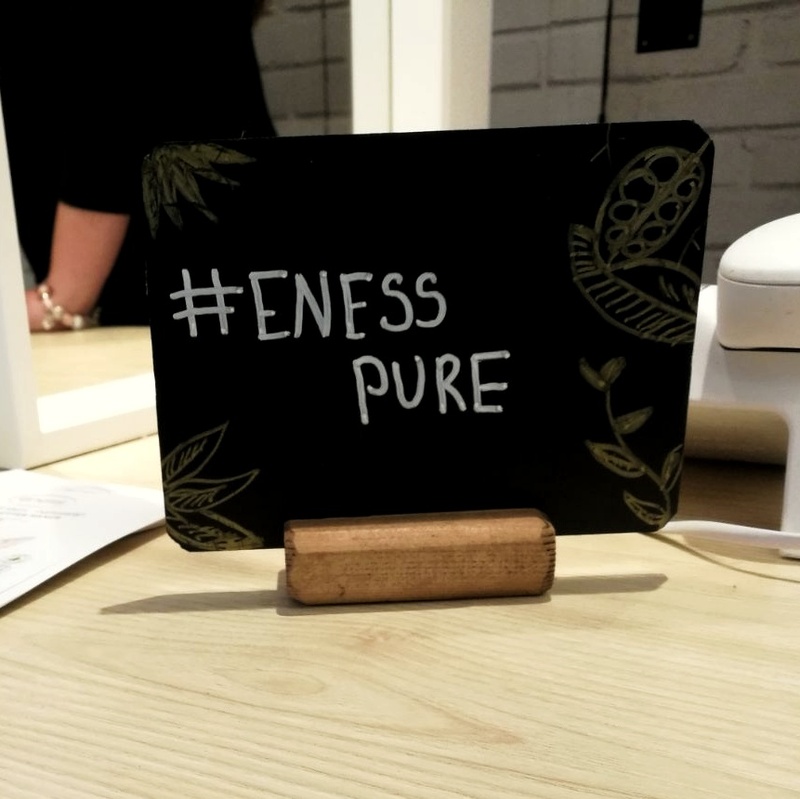 A week ago, I was invited to a blogger launch for two new vegan ranges at Eness. 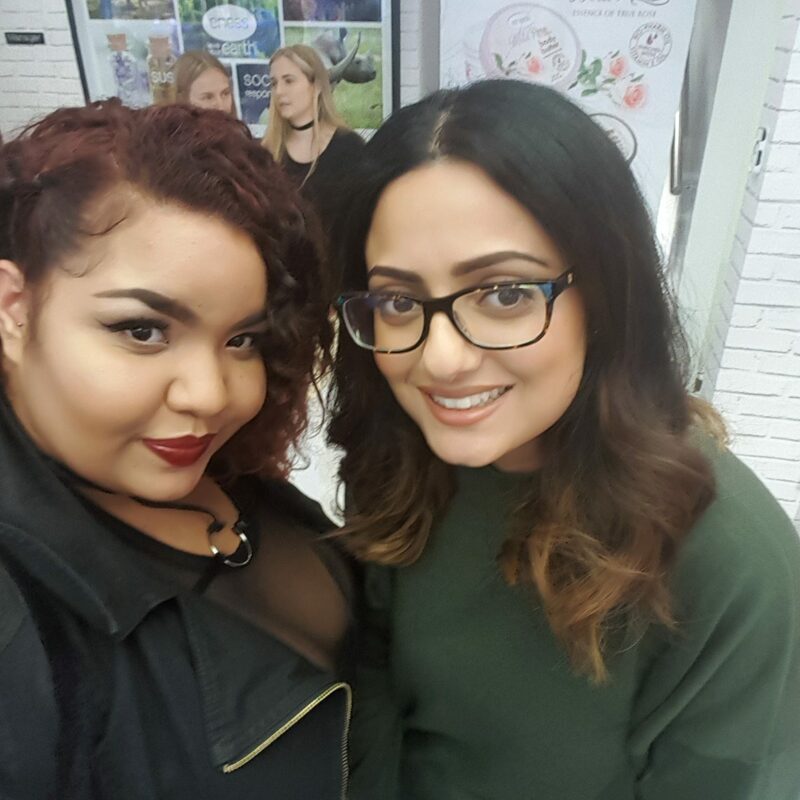 I was excited to go as I’ve used and loved quite a few products from Eness before, also this would be my first blogger event. 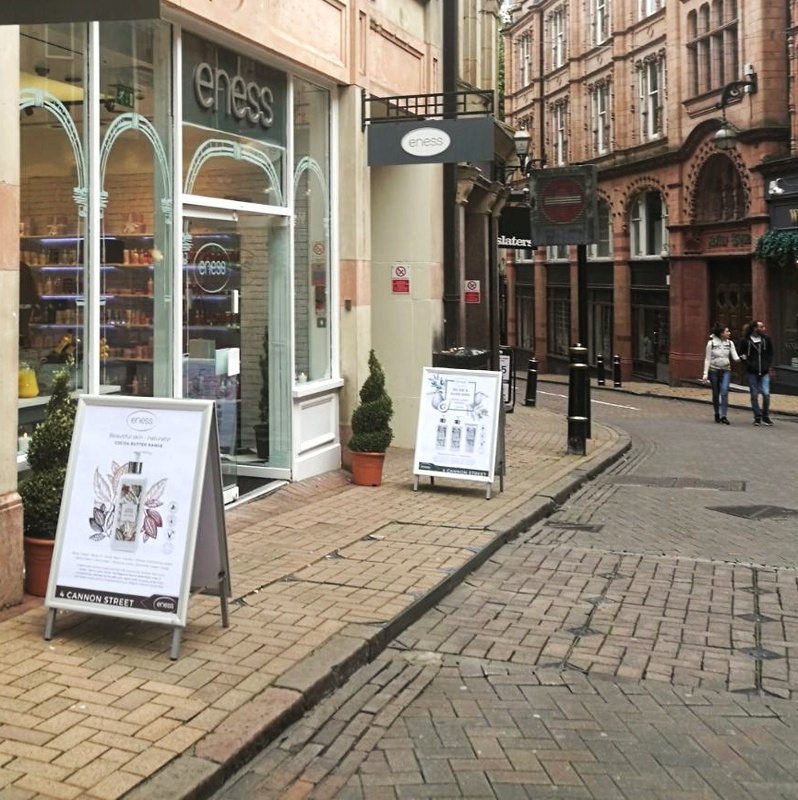 The Eness store is in a great location in Birmingham city centre (4 Canon Street), and has undergone a refurb since I was last in store. I’m a sucker for aesthetics so the new simple white brick décor was a winner for me. 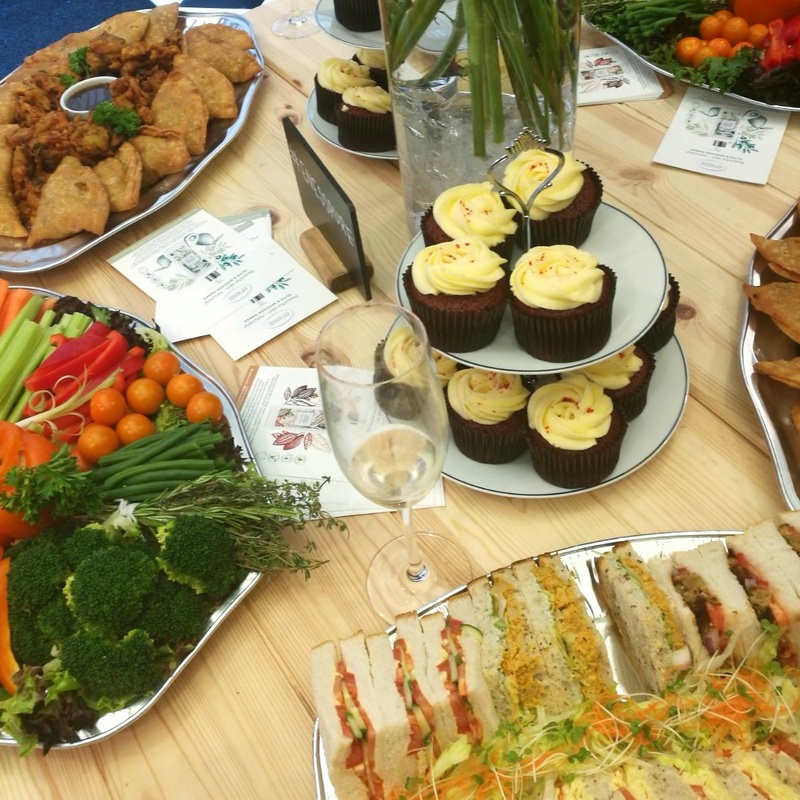 On arrival, we were all greeted with prosecco and they had a beautiful vegan spread for us compiled of finger foods, crudité and red velvet cupcakes. I never thought I would enjoy vegan cupcakes but they were beautiful, I will be visiting 3three’s Coffee Lounge to try more. They staff were amazing, they talked us through the new ranges individually and let us try products we were interested in. 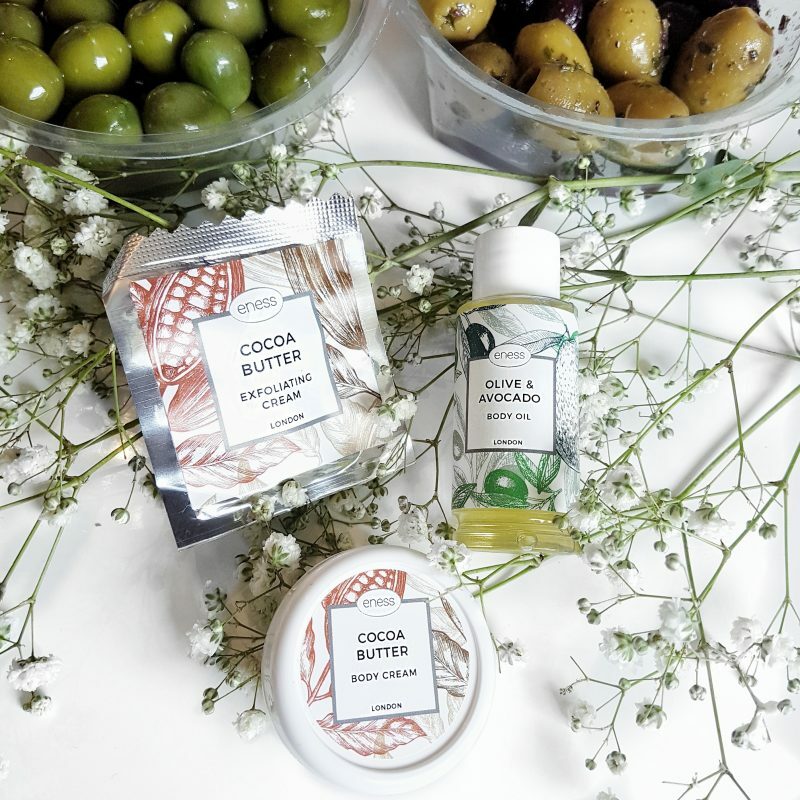 The two new lines are ‘Cocoa butter’ and ‘Olive and Avocado’ both smell amazing and are beautifully packaged. The botanical design is very clean yet eye-catching. The Cocoa Butter has a warm comforting scent reminiscent of chocolate a vanilla with woody undertones. The body oil in this range was a standout product for me, super moisturising and the scent lingers for hours after use. 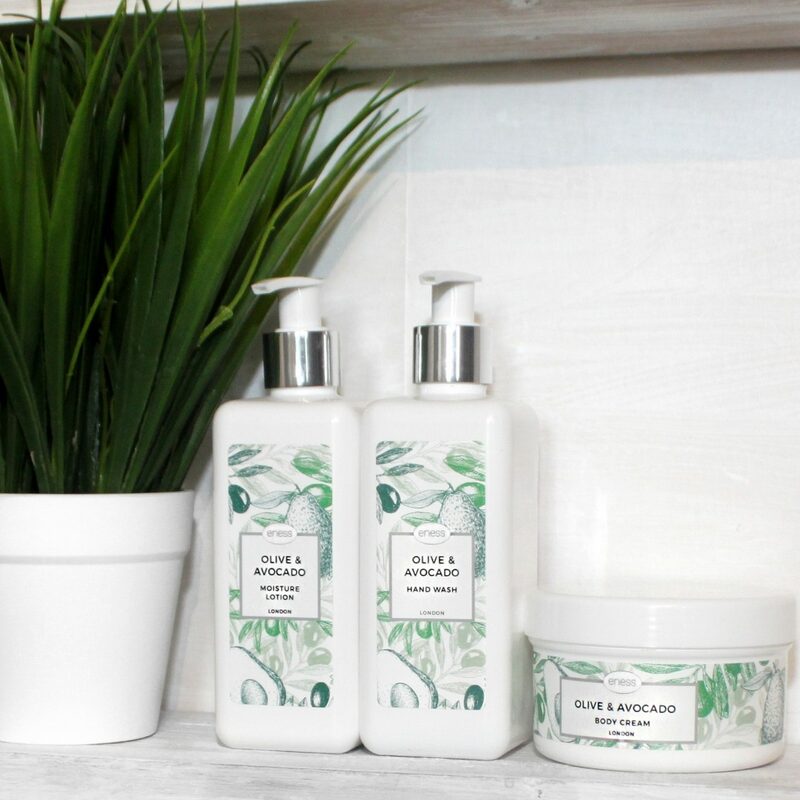 The Olive and Avocado range is my favourite, I prefer fresh scents over sweet. The floral yet lightly fruity scent is amazing. I bought the body cream and have been using it daily, I am going to go back for the firming cream. Overall it was an enjoyable evening full of friendly faces, I got to meet other bloggers and some Instagram friends I have made through blogging. The staff were so attentive and informative, they really know their products well. Outside Eness with Monique & Leah. At the end of the night we were generously gifted with some products from both ranges. I did purchase some products too and I am kicking myself that I didn’t pick up the candles. I was so impressed that they did a few items for the home like jarred candles and reed diffusers. Whilst we were there the cocoa butter candles were burning and smelled amazing. 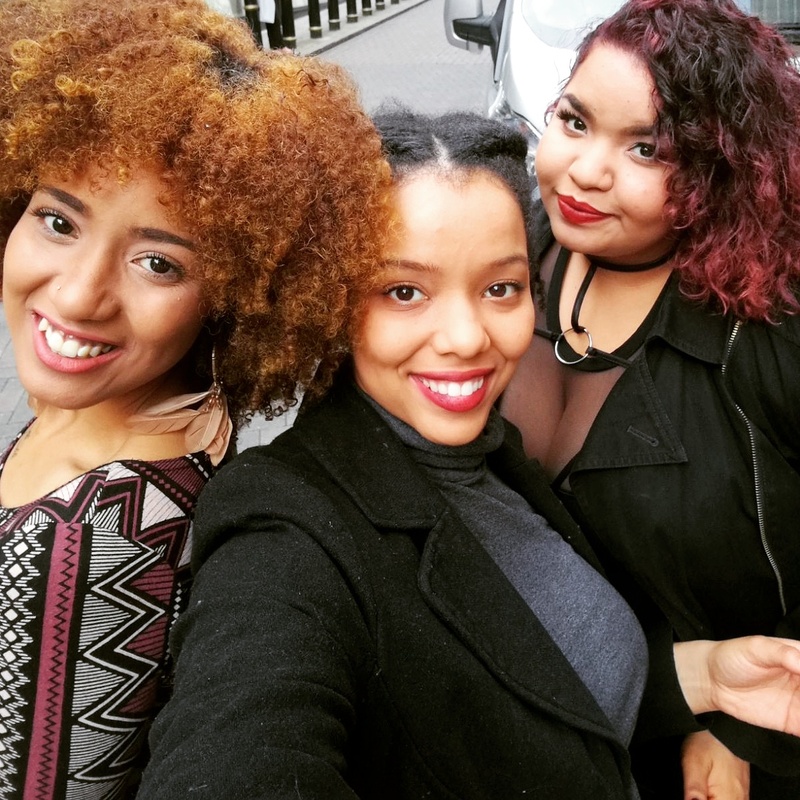 For product that are cruelty free, sustainable, vegan and contain natural ingredients they are reasonably priced. Ranging from £6.50 (hand cream) to £15 (diffuser) you can’t complain. I will be keeping an eye out for any future ranges. 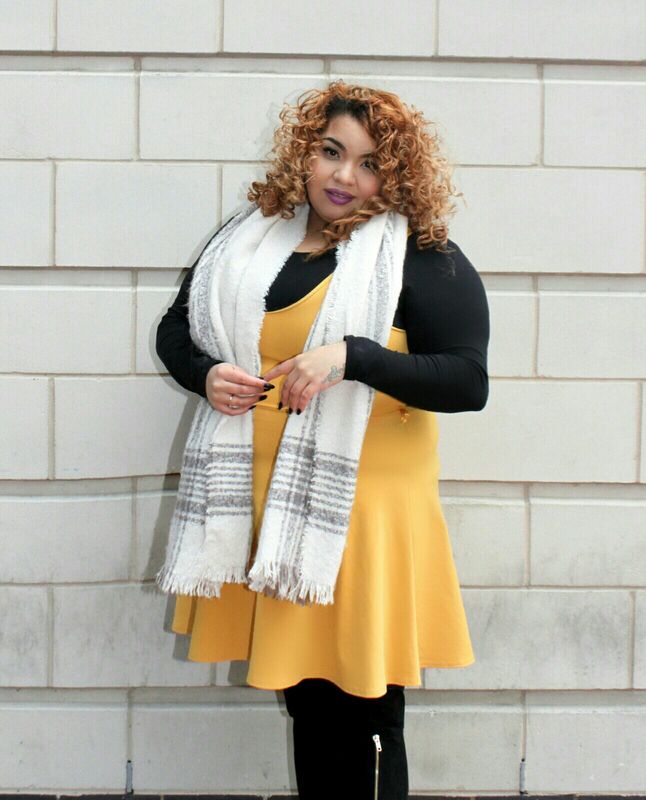 Defining My Curls With Eness Cosmetics.